A Divorce settlement case has hit the headlines after the husband has been ordered to pay £334,000 in legal costs!! Divorce proceedings have come to a bitter end for husband, Clive Joy-Morancho after he has been ordered to pay £334,000 in legal costs, within fourteen days! This amount includes all of his estranged wife’s costs for the financial proceedings since May 2013. The husband had set out to deceive the Court in regard to his finances by being, as the Judge said “unbelievably dishonest” as he had deliberately attempted to obscure the truth about his true financial circumstances. Whilst the Judge accepted that cases such as this are few and far between, it is hoped that the costs award in this case should act as deterrent to those who are considering deceiving the Court! The husband had sought to reach a resolution which only involved him paying a nominal maintenance award to his ex-wife, but he has ended up having to pay £334,000 in costs, periodical payments of £120,000 and his ex-wife’s capital claims have been adjourned. Wide- spread shock and major concerns raised as Court of Appeal DISMISS Husband’s appeal against 100% DIVORCE. The Court of Appeal caused widespread concern last week after dismissing a husband’s appeal against a Judgment which was handed down last July. The Judgment ruled that the £550,000 estate of the family should be given, almost in its entirety to the wife. Major concerns are being expressed due to this being the first 100% divorce and the major impact this may have in the future for other husbands across England and Wales. The man in question, Dr Essam Aly a hospital consultant, aged 54 was married to his wife Enas for nine years and they had two children together. In 2011 the relationship broke down and Essam left the family home; within a year he had moved to Bahrain, remarried and went on to have his third child. Enas attempted to bring enforcement proceedings against Essam in Bahrain due to him refusing to pay any maintenance for their children since 2012, however, this was unsuccessful. Therefore, Enas obtained a “Freezing Order” over those of her husband’s assets which were considered by the Court as being part of the matrimonial estate. Most of the assets were awarded to Enas by the Family Court. It is well known that generally a marriage of this length equates to the capital being divided fifty fifty. However, the Court can and will deviate from this when necessary in order to secure an outcome where both parties can be adequately rehoused. When considering the appropriateness of a financial resolution the child/children’s welfare is paramount and will have a significant impact upon the resolution of the case. During the hearing in the Court of Appeal Essam expressed his views which were that he felt the 100% Judgment was greatly unfair. The Court ascertained that despite Essam’s financially “well off” status there was no indication that Essam had any intention of paying towards the children of his first marriage and with this being taken into consideration the Court of Appeal were of the mind that Enas should receive the vast majority of the estate and if not all of the assets. This was to ensure that Enas and the children were able to live in appropriate accommodation and to ensure that she was able to provide for the children until they reach adulthood. It is believed that the Court of Appeal made the “rare” judgment due to the fact that Essam proved he cannot be trusted not to default if he was ordered to make regular maintenance payments to Enas and the children. Although the Court were clearly unimpressed with the behaviour of Essam, it is felt the Judgment was not punitive, it was practical. The Court made the Judgment to ensure that maintenance was available as and when the mother and her children needed it, as a direct result of Essam’s very clear avoidance of paying maintenance in the past. Although some may say that this ruling was extreme, in such circumstances the Judge has a duty to ensure that fair and appropriate provisions for families are secured especially when one party refuses to accept their responsibilities and act accordingly. If you are currently considering separation or are going through a divorce then please contact Vines Legal today on 01246 555 610 to speak with one of our qualified and experienced professionals. A divorce means that my ex can’t make a financial claim against me … right? A divorce by itself does not mean that an ex-spouse cannot make a financial claim against the other party provided he/she has not remarried before making the claim. The key to preventing such a claim, post-divorce, is to obtain a financial clean break from the Court. This should be done at the time of the divorce, if at all possible. If the parties agree then this can be done in the form of a Consent Order, otherwise the Court can impose a clean break order upon the parties, if it is considered appropriate to do so. It is understandable that people who are going through the trauma of separation and divorce want to breathe a sigh of relief when they get their Decree Absolute and think to themselves “I’ll just leave the finances for a bit” if there is nothing immediate, like a house or pension, to sort out. However, be warned, the Supreme Court recently allowed an ex-wife to claim against her millionaire ex-husband some 23 years after divorce. In that case neither party sought a clean break at the time of the divorce meaning that the ex-wife could pursue her claim, despite the long period of time that had elapsed. In that case the Court must still decide on the level of the ex-wife’s financial award (which will doubtless take into account the delay), however the cost, stress and aggravation for all concerned is no doubt taking its toll and could have been prevented. So the clear message from this is act now, belt and braces, then move on with confidence that your affairs are in order. If you are currently going through a divorce or are thinking about a separation, Vines Legal are here to help. Please contact us today on 01246 555 610 to take advantage of our free 30 minute consultation with one our experienced legal professionals. At present a pre-nuptial agreement is not legally binding. However, the attitude of the Court towards them has changed considerably over the years; more weight is now being given to them and in light of this it is becoming more common for people to enter into such an agreement. In trying to determine a division of the matrimonial assets the Court's usual starting point for such a division is 50:50 unless there are good reasons to depart from this equal split. We would all like to think that when we marry it is for the long haul and that we will remain together “til death us do part” however the reality of marriage breakdown is ever increasing. Many people entering into a marriage already have assets in their own name which they would wish to protect in the event of a marriage breakdown – these could include a property, business assets, investments, pension provision and even any future inheritance. On divorce, the Court has extensive powers to potentially distribute all of your assets including pre-marital assets, those which are inherited or held in trust. This can make the Court process uncertain, stressful and expensive. If challenged, a pre-nuptial agreement is more likely to be upheld if it was properly made and entered into without any undue influence and will not lead to one parties’ hardship. Before entering into a pre-nuptial agreement both parties should seek independent legal advice from a family lawyer. The Court will not uphold an agreement which it sees is unfair to one of the parties. If you are considering a pre-nuptial agreement and would like further information please contact Vines Legal today on 01246 555 610 to speak with one of our qualified and experienced professionals. Compulsory Referral to Mediation – is this a good thing? Under the Children and Families Act 2014 a referral to mediation in family disputes is compulsory in all bar the most exceptional of cases. The principle behind mediation is of course sound- a more amicable and cheaper way of resolving disputes which should be promoted in every case. However, should it be compulsory in every case as the new law states before an application can be filed at Court? Father persistently denied by Mother the opportunity to see his children. Mother cancels the landline and removes the eldest child’s mobile phone to stop any form of communication with Father. No reason or explanation is given by Mother other than she wants nothing to do with Father either for herself or for the children. It is clear Father needs to apply for a defined Court Order setting out the time the children should spend with him. As required by the new law a referral to mediation is made. Father attends a MIAM (Mediation Information and Assessment Meeting). Time ticks by as Mother takes nearly 2 weeks to reply to the mediator as to whether she wishes to engage in the process, all the while the children are still not able to see or speak to their Father. Mother then elects not to participate. Should a referral to mediation have been compulsory in this case or was it used by Mother as a means of delaying the process further and making things more difficult for Father? It is cases like this that raise the question of whether a compulsory referral to mediation is right in all cases. Time will tell whether any changes are made to this. At Vines Legal we offer a free initial consultation covering all aspects of Matrimonial and Family Law. Please call us on 01246 555 610 for a no obligation chat. The Festive Period – Excitement or Dread? As the festive season approaches and we are reminded daily in the shops, on television and on the radio that Christmas is just around the corner- what is your reaction to it? The traditional presentation of Christmas is that of family being together and a time of great happiness. Well…. what if you’re not together as a family? This could be due to marital separation or relationship breakdown. What if you’re not sure whether you’re going to see your children on Christmas Day to open their presents or enjoy a family meal? Some people struggle to watch the adverts on television during the run up to Christmas that advertise childrens’ toys because the pain of them being separated from their children is too great and their visiting arrangements with the children over Christmas are unresolved. Due to this and many other reasons the Christmas period can be tough and a period of intolerable pressure for many and not least for the children of families affected. At Vines Legal we offer a free initial consultation covering all aspects of Matrimonial and Family Law. Call us on 01246 555 610 to arrange a no obligation chat. 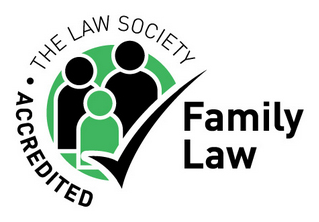 More changes to come on the Family Law front? As the Children and Families Act 2014 continues to bed in it may be that there are more changes to family law practice and procedure on the horizon. A top family Judge has urged further radical reform of the Family Courts. One area of family practice under review is divorce law which has already seen some quite big changes under the Children and Families Act 2014. It has been suggested that “fault” based grounds (adultery and unreasonable behaviour) might be removed in favour of “irretrievable breakdown” as the sole ground. This would be with a view to trying to take the acrimony out of the process and make it simpler for people. There has also been some discussion as to whether the divorce process should be removed from the Courts and given to Registrars in a Registry Office. Whilst any attempt to remove some of the distress and acrimony of the divorce process should be encouraged it is questionable to what extent, in reality, people will benefit from this. One school of thought has raised concern that the divorce process could be made too easy and just another thing to cross off the shopping list. A passing of the divorce process to a Registrar would also raise questions and concerns as to what recourse people would have to sorting out their financial issues since currently, in many cases, finances are sorted out under the umbrella of the divorce proceedings where a Judge is able to decide when the parties are unable to agree. Please contact us on 01246 555 610 if you wish to discuss a family problem. We offer a free initial 30 minute consultation. The new Single Family Court and the Children and Families Act 2014 has now come into force. One hot topic which everyone is talking about is the introduction of compulsory mediation information and assessment meetings (MIAMs). Under the new rules, you don’t have to ‘mediate’ but you do have to attend a MIAM to decide whether or not this is the best and most appropriate route for you to take if you are having a dispute with regard to children. After attending this meeting, if mediation is not for you, you may proceed down the Court route. The MIAM therefore is compulsory, mediation is not. If your dispute does end up in the Court arena you will be required to evidence the fact that you have attended a MIAM. Despite MIAMs being compulsory for the majority of people there are a few exceptions to this rule. If there has been, or is a risk of, domestic violence. The whereabouts of one party is unknown. The application is made without notice to the other party. There is a significant risk to the life, liberty or physical safety of one party. If you do not fall under any of the exemptions then you will need to attend a MIAM. At this meeting the Mediator will then assist with determining whether or not Mediation is appropriate. If you are currently involved in a dispute with your ex in regard to the children then please contact Vines Legal today on 01246 555 610 to speak with one of our qualified and experienced professionals. Divorce is very emotional and it is often hard to separate that emotion from rational thought. At all times it is always best to try and avoid making any, potentially life changing, financial decisions in the heat of the moment. How the matrimonial assets are divided or what percentage is agreed upon can have a direct impact on your financial stability which, in turn, could affect the rest of your life. So take a minute to let rational thought rule your head rather than letting emotions lead the way. It is always hard to come to terms with the breakdown of a marriage, and there will be a whole range of emotions in play. It is common to see many people wishing for this ‘to just be over’, or ‘that it is their fault so they will let him/her have the house’. These are very common thoughts and are often the most dangerous. These decisions are not made with any rational aforethought – they are emotion led which, in the Family Court arena, is not the way to deal with a financial division. At Vines Legal, we would suggest that you think about things properly before making any final decisions and it is important to discuss your options through with a trained and qualified professional in the first instance. Everyone needs time to adjust to the shock, change or stress of a separation and obtaining proper advice, as opposed to what you hear from friends, neighbours, locals in the pub etc.., is the first step to making a sensible, fair and reasonable decision. If you are currently thinking of separating or you are in the process of issuing a Divorce Petition, Vines Legal can help to make the process just that bit easier for you. Please contact us today on 01246 555 610 to take advantage of our free 30 minute consultation with one our experienced legal professionals. Most people really don’t want to discuss their relationship problems with those they see and interact with daily; but it really can help. The old mantra of a problem shared is a problem halved springs to mind and in this circumstance making sure your colleagues and your employer are aware really does help in some way to make the whole divorce process that little bit easier. Those who scan the internet regularly will undoubtedly be aware of the relationship breakdown of Gwyneth Paltrow and Chris Martin, who made their announcement on Gwyneth’s popular website, Goop. The decision to make the announcement in the public domain really isn’t as scary as most would think. The fact that people are aware of what is going on helps to give you the support needed from family and friends. Most people hate the thought of sharing their private relationship news with other people, but it is more than likely that most of us have either been there ourselves or we know someone that has. Having a support network around you is really important and will help you through the entire process. It is therefore much better to get talking about what is happening than keeping it all bottled up – which seems to be the British way of doing things!